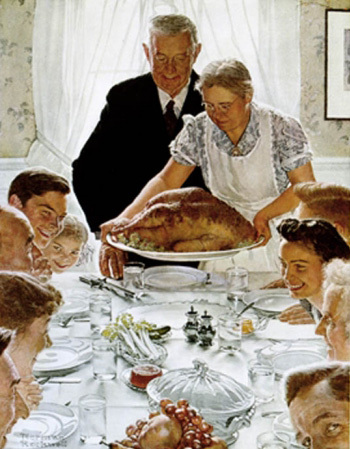 This is Thanksgiving week and it's one of my favorite weeks of the year. Living in a country that is full of blessings and having a life full of blessings it can be easy to take things for granted. I thought it would be worth sharing what I am thankful for. I am thankful for my beliefs. When I think of how this country was founded and how the founders made sure each person could worship in freedom, I am incredibly thankful. Do You Work Hard - Not Like This! How many times have you heard someone claim s/he works 60 hours per week? How many times has that statement been true? Often times people have a way of exaggerating what they do. They will calculate the longest week they have ever worked, round up the number a little, and then use that as the average. To work a 60 hour week means working from 7 am to 8 pm, with a 1 hour lunch, 5 days a week. That would be an intense load. When I saw a headline about Jack Dorsey claiming he worked 80 hour weeks - I thought to myself that this can't be true. So, obviously, I had to read the article. If you're in the technology world you know that Jack Dorsey was one of the co-founders of Twitter who ended up leaving the company. After leaving Twitter, Jack founded another company called Square. Square is a payment processing company that allows a user with a mobile phone to collect credit card payments on the fly. It's an innovation that is helping small business start ups collect payment via a mobile phone. It's an incredible development. 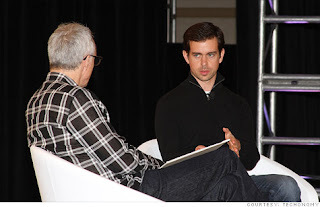 It takes Jack 40 hours a week to run Square - not a huge leap since Square is a fast growing technology company. Earlier this year Twitter came back to Jack to lure him to run Twitter. Jack decided to do both. He works 5 days a week - 8 hours in the morning with Twitter and then walks to Square and works another 8 hours. He is able to keep this going with both companies because of his disciplined schedule. He developed a theme for each day and focuses only on what is most important. When I read this article about Jack Dorsey I had to wonder "What more could I do with this kind of perspective and focus?" How much more could I get done with that type of focus on doing only what is most important? Jack has developed teams of people to get the daily work done and then he focuses on the big picture items like strategy, recruiting and culture. Take a few minutes and read this article then ask yourself what more you can do. When someone thinks of Hopkins Printing, I want certain thought to happen. My goal is for them to think of superior service, honesty, technology and that we are easy to work with. There are many ways for this to happen but the fact remains that if a brand is built on purpose then that brand will be more powerful. How do you want your business to be branded? How do you want "you" the brand to be know? How much time do you spend working on this? 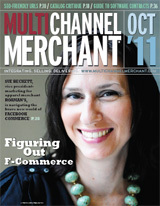 A recent article in the Multichannel Merchant magazine helps shed some light on this topic. The article was titled 9 Ways to Leverage Your Brand Difference. The first way is to decide to become the very best you. The article explains how you don't need to be anyone else - you need to decide what you want to do and become the very best at that. Sometimes we like to see a good competitor and then look for a silver bullet fix to be more competitive. Great companies just do the right thing over and over and in the end they win. Rarely are there ever true silver bullets anyway. Another way is to tell your story well and to tell it often. At Hopkins Printing we have some great stories about how we were founded, how we are run and what we are doing for clients. I am always amazed at how clients love to hear these stories. There are even times when I will have a good client repeat back a story that they heard years before. It's true that stories make more of an impact than the greatest equipment sheet. Spend time thinking about who you are and who you want to become and build a great company and a great brand. How often do you leave a meeting hoping that you are not burdened with getting a task? How often do you come to a meeting and find that one or more of the participants has not done what s/he committed to at the last meeting? These are two reasons why meetings are often exercises in futility. How can you run a meeting and have it be productive? One simple technique was recently written about by Cameron Herold. 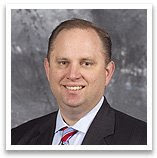 Cameron was the COO of 1-800-Got-Junk during the formative years when it went from three to one hundred million in sales. This tells me when Cameron speaks, I should listen. Cameron says before a meeting ends, the meeting leader should have each participant verbalize to the group what s/he is committed to doing and make sure there is total agreement. This greatly improves the chance of the work being done. This also acts as a self correcting tool because the group will put pressure on the non-producers. Try this in a meeting that you run and see the quality of the meeting and the quality of your team improve.